Okay, I’m kind of obsessed with this recipe at the moment. These are SO. GOOD. As in, these are the only onion rings I ever want ever again. 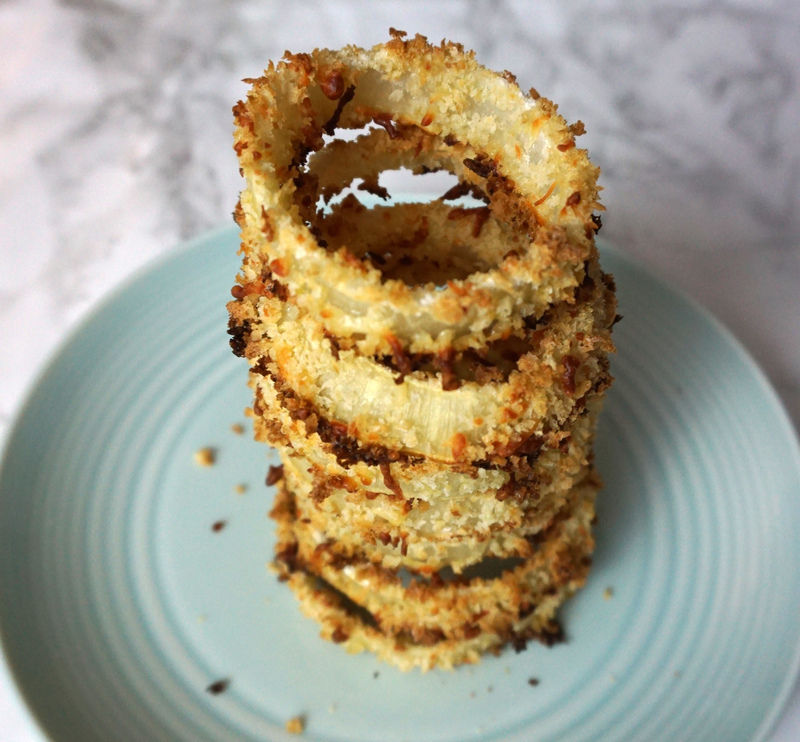 Super crunchy and flavorful, and preeeetty much guilt free! 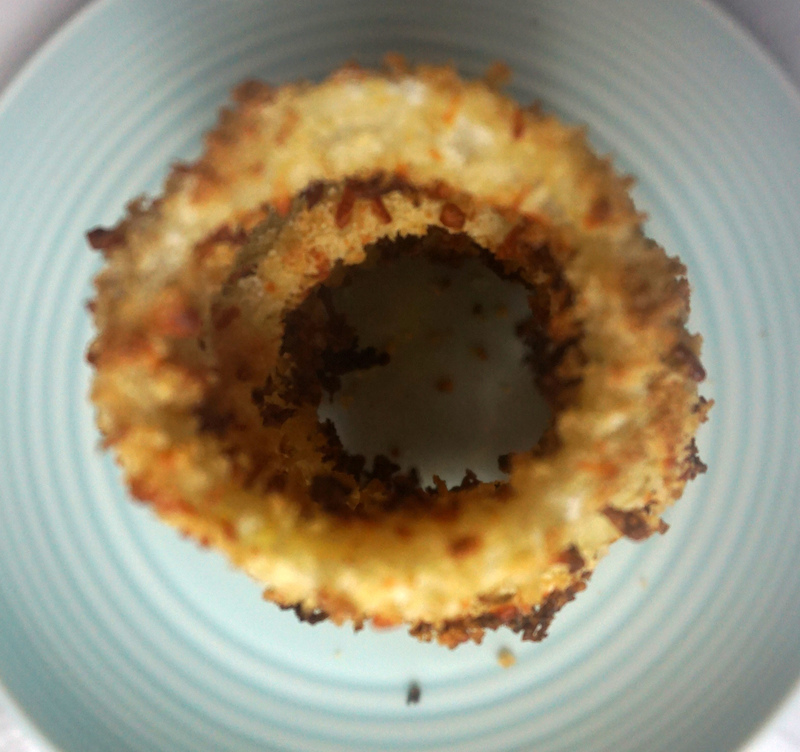 I love the idea of onion rings, but am generally disappointed when I order them at a restaurant. The batter is always way too greasy and I end up eating about an inch of batter and all the onion, leaving most of the batter shell behind. This is kind of silly and probably bad manners. But these do not have that issue, since they’re baked. We ate these for dinner and I felt zero guilt. While there are a few steps to making this, and it’s a baby bit messy, it’s easy once you start and you can most likely get all of the prep done while the oven in preheating. Multi-tasking yo! 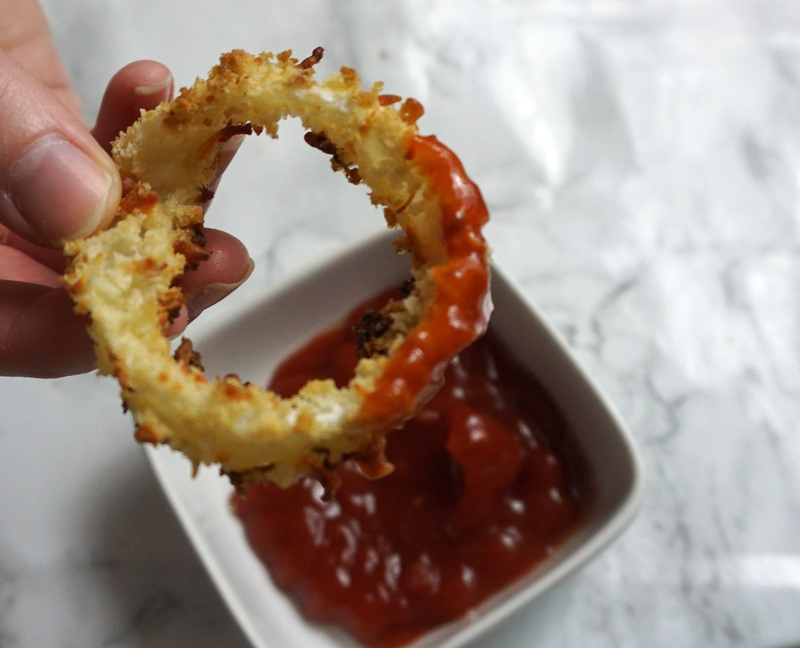 And if you’re making this with someone else you can make it a fun, onion-y assembly line. 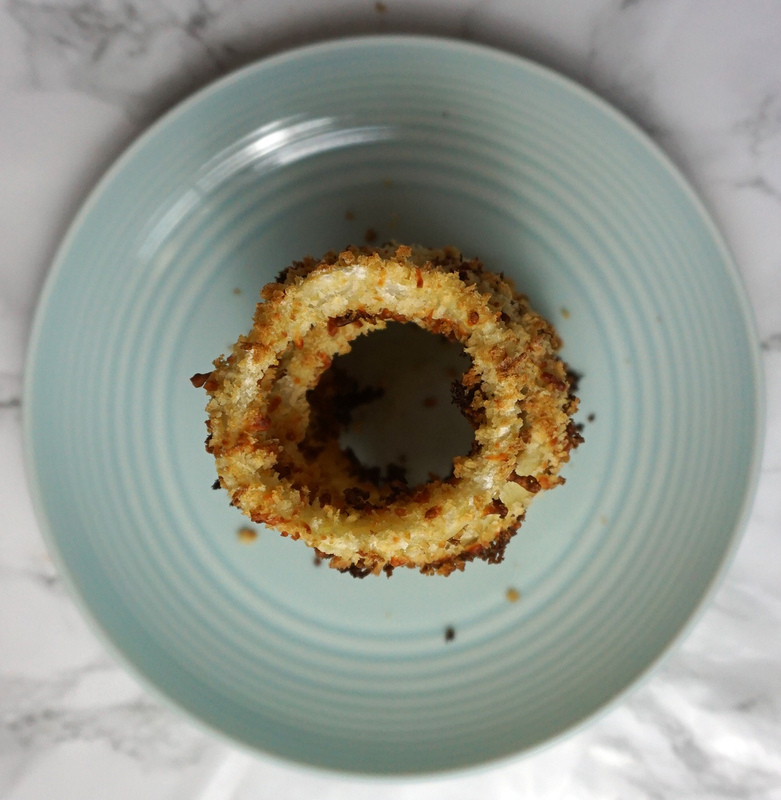 I was a little worried that baking the onion wouldn’t get me to the doneness that frying would, but the consistency and flavor were spot on. Another great thing about this recipe is that it’s low cost, since there’s no meat and just a little cheese. You can probably whip up a big batch of these for under $3. If you’re feeding a crowd on a budget that’s great news! Preheat oven to 400 degrees. Lightly oil a baking sheet or coat with nonstick spray. In a large bowl, combine flour, garlic powder, and garlic salt; set aside. 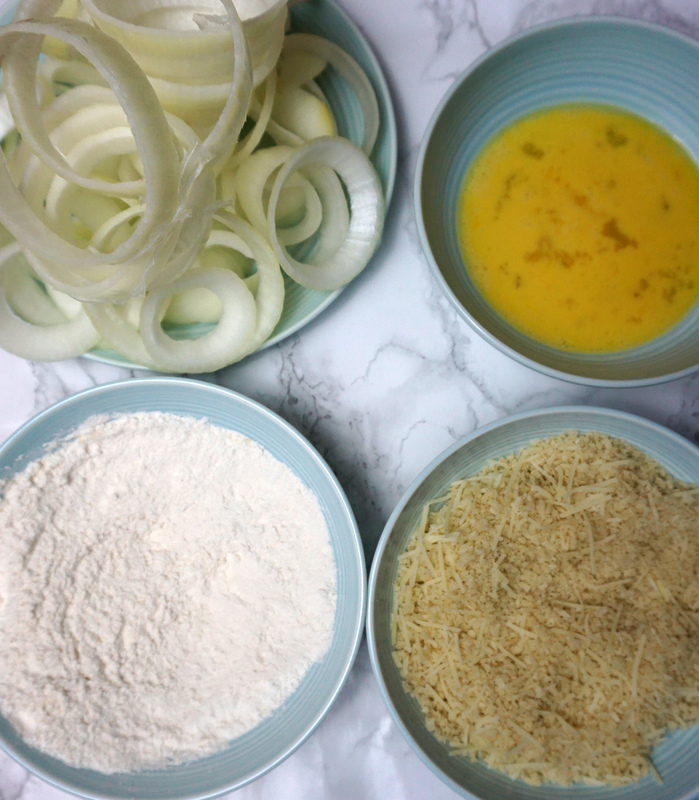 Working in batches, dredge onion rings in flour mixture, dip into eggs, then dredge in Panko mixture, pressing to coat. 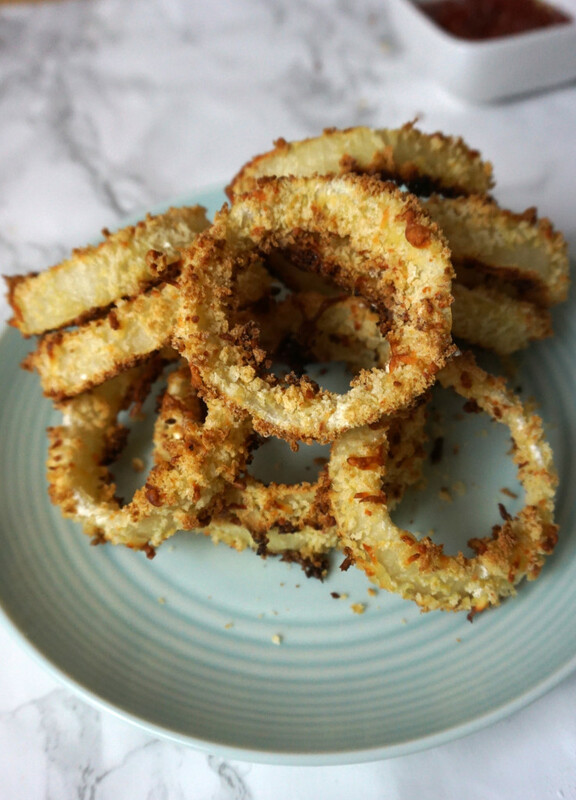 Spread onion rings in an even layer on the prepared baking sheet; coat with nonstick spray. Place into oven and bake until golden brown and crispy, about 20-25 minutes.